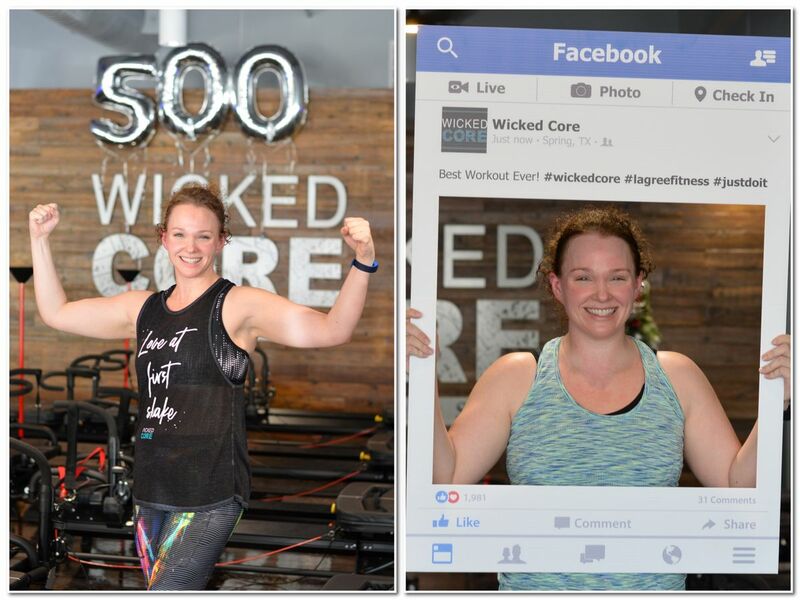 "I love everything about Lagree, Wicked Core and the Wicked Core Family"
"After completing 500 classes at Wicked Core, everything about my body has changed. I’ve lost weight, lost inches, dropped several clothing sizes, gained lean muscle, and increased my flexibility. At almost 40 years old I am the strongest I have ever been. Every single muscle in my body has leaned out and gotten stronger; my biceps, triceps, abs, obliques, back, booty, hamstrings, inner thighs, outer thighs, quads and calfs. I’m enjoying the mental aspect of continuing to set goals in Lagree class, crushing the goals, then finding new goals. I’ve also learned to make myself a priority again, which was tough after having kids. I love everything about Lagree, Wicked Core and the Wicked Core family! I’ve gained a bunch of new friends in the Wicked Core family and love how supportive everyone is. Thank you so much to Deb and the amazing instructors at Wicked Core for continuing to challenge and inspire us."